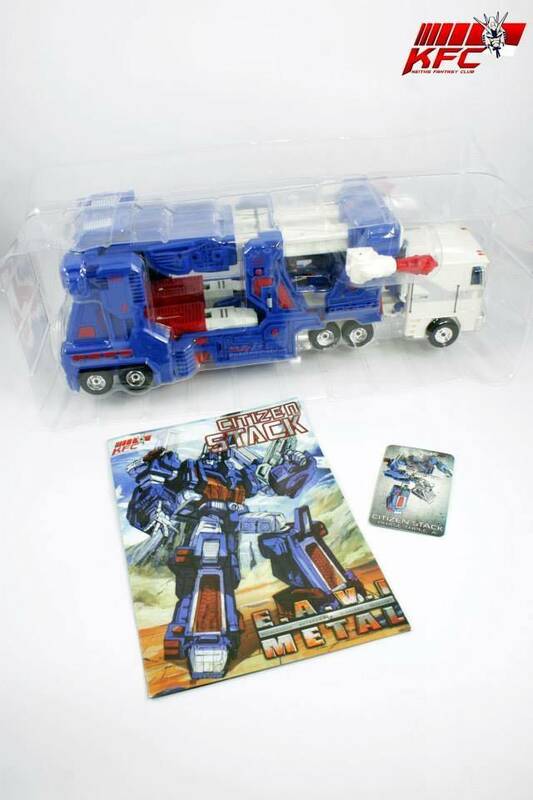 Includes metallic finished big gun, comic & a bio card! 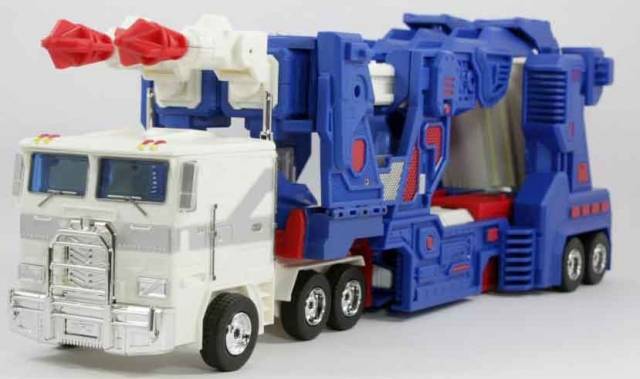 Stands approximately 33 cm/13 inches tall in robot mode and the trailer and cab are connected forming the main robot! The trailer is not worn as armor but an integrated form when changing from vehicle to robot and back. 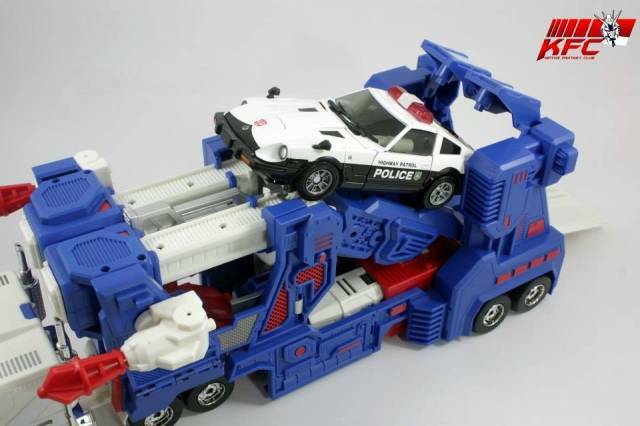 Note: MP cars sold separately. Original arrived damaged at red area around chest/waist. TF Toysource quickly sent me a return label. Sent item back appearantly to be repaired? Waiting for replacement. Original box was dented, hoping replacement box will be in C-9 condition. 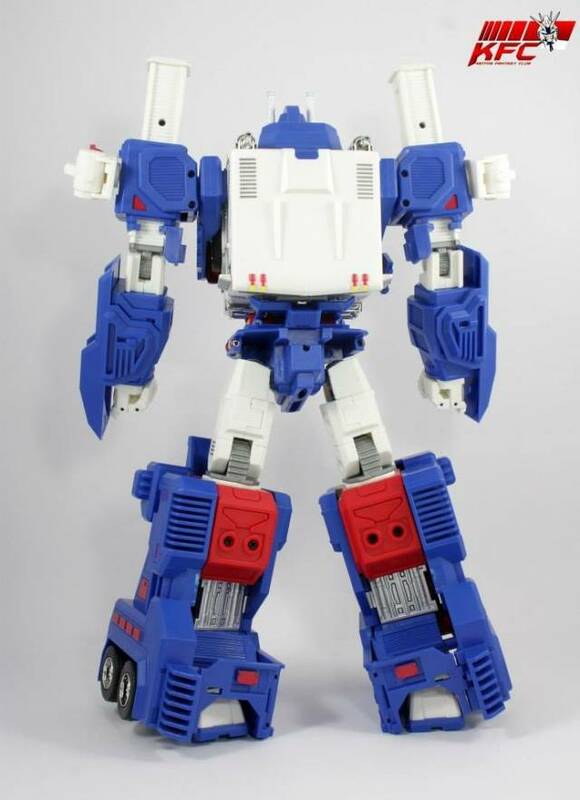 Item is very tall in robot mode and dwarfs MP-10 when standing side by side. Concerned about the thinness of red plastic part that makes up the waist/chest area. Seems easy to stress and crack if not careful. I like the rubber tires in vehicle mode, nice touch. Wish chest could open somehow for the Matrix to be added later on. Head is big enough for led lights and a small button at the back of the head if you wish to go that route. Overall very nice piece and standing next to all the other MP scale Autobots, he looks amazing. Wow! 3rd Party UM Stack! 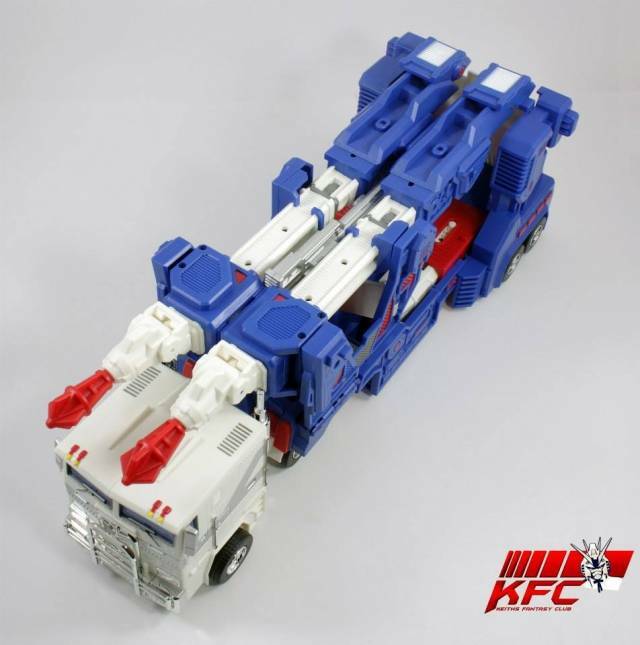 After seeing this a number of times with reviews, I'm still undecided to get this KFC version. 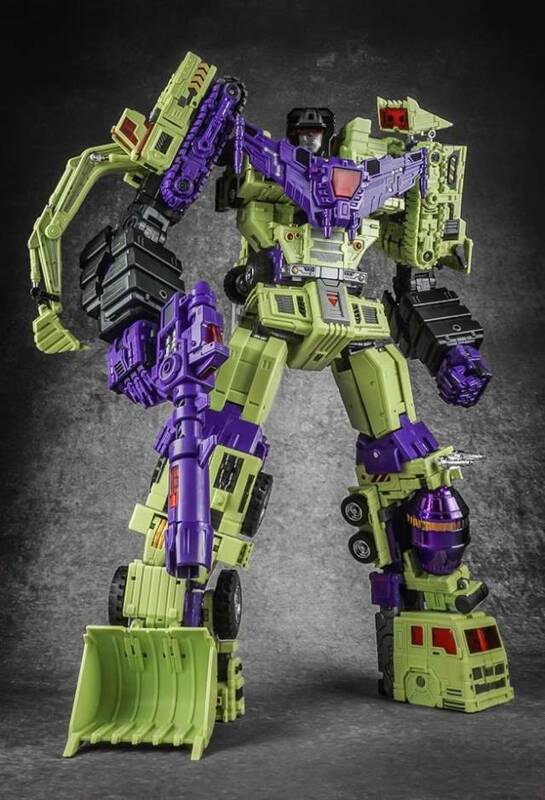 Looks impressively big to MP scale but some loose areas of this, kind of hurts my expectations. The missile launchers are loose and fall out easily? 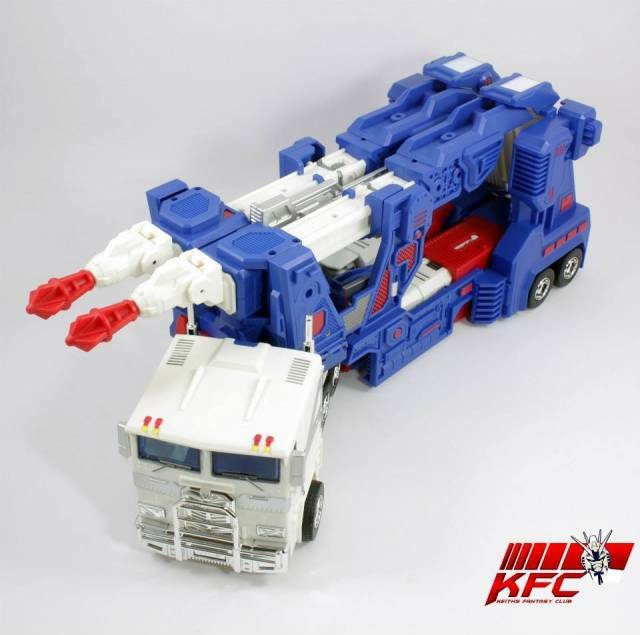 KFC could have made them lock in place or poppy launch-able. The leg tabs and chest clips especially. But overall a very impressive version of Magnus. He's BIG....Yeah, he's REALLY BIG!!! 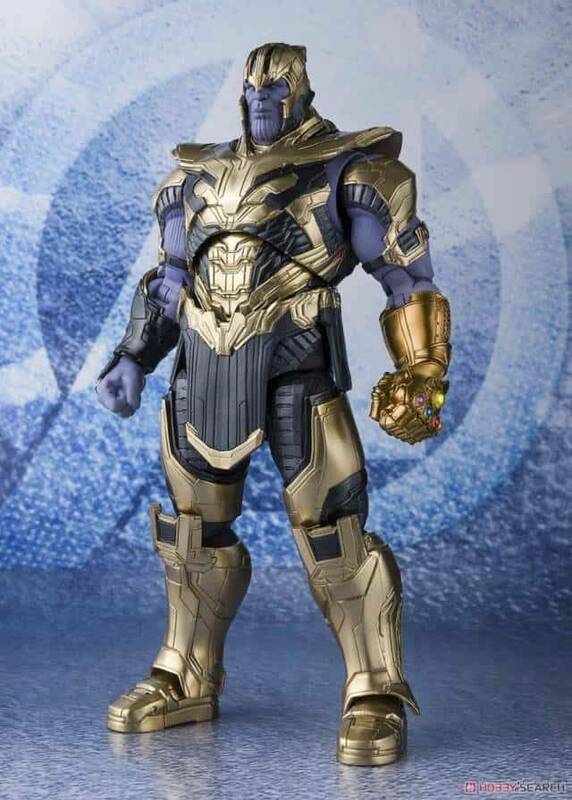 I will start off by saying that after seeing some of the reviews and reading some comments about the experience other people have had with this particular figure, I wasn't sure what to expect. In hand, he's...BIG! I was expecting that, and now I can also see what people were talking about when they said that for his size, he feels really hollow and light. His transformation isn't all that difficult to figure out, but a lot of the little tabs that fold for his legs do not seem to hold really well, so he doesn't really feel that..solid. The two clips that prevent the upper and lower torso from coming loose also kind of worry me a bit. He's not a bad figure, and all in all, I think the only part of him that "Looks" off to me is his head sculp (not really a fan of the flattened face look, but that can be fixed with the upgrade kit coming out), and I actually like the large size, but for a figure that is clearly trying to fit into the "MP" category, he just falls a little short. 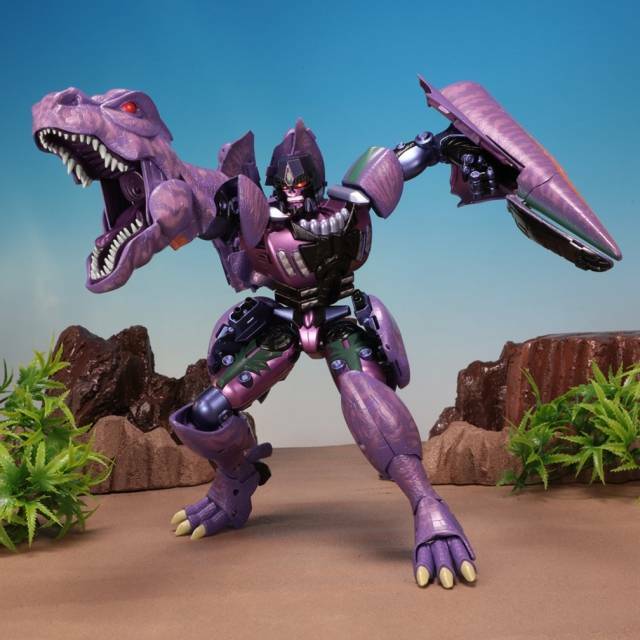 I'm hoping that the head upgrade will help lessen the slight buyers remorse I have, but time will tell. 3.5 that I can't really justify rounding up to 4 this time. Everything that previous reviewers have said is true. This really is a great presentation of the character. And while the Stack I received is very close to what others wrote, it also had a few hiccups. The things that stood out to me most were vehicle mode and the missile launchers. Vehicle mode did not come "secure" in the box and keeping it assembled out of the box still required effort. Namely, the arms and these red panels on the side of the trailer refused to stay put. 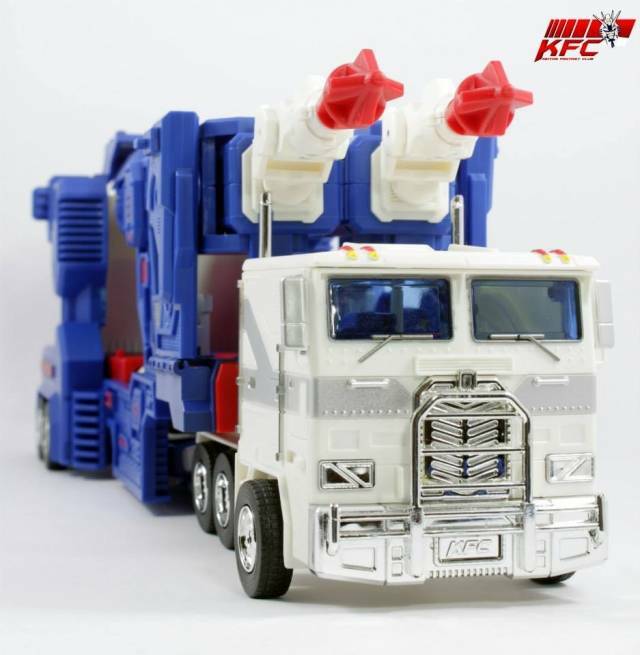 The missile launchers are also particularly loose on both vehicle and robot mode. The slightest jostle causes them to fall out. Other than this, he's an amazing piece of engineering at a great price. I was very impressed at how easy the transformation was for a figure in Masterpiece scale. 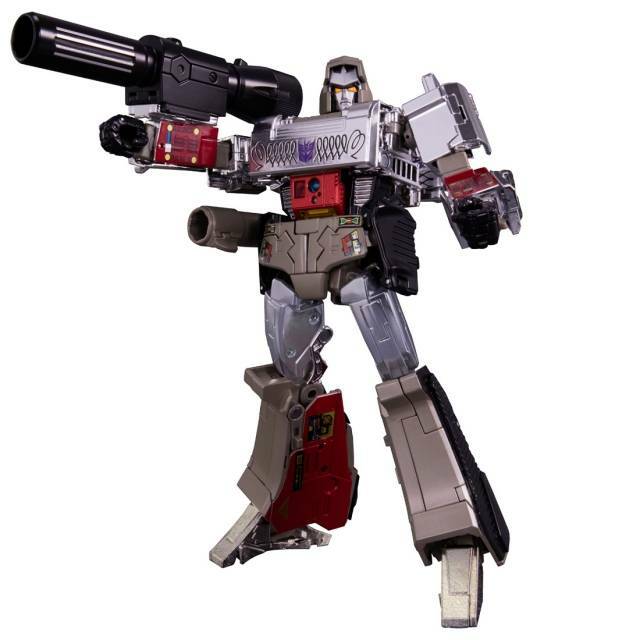 Speaking of which, although he's huge compared to MP-10, he fits right in with MP-1. 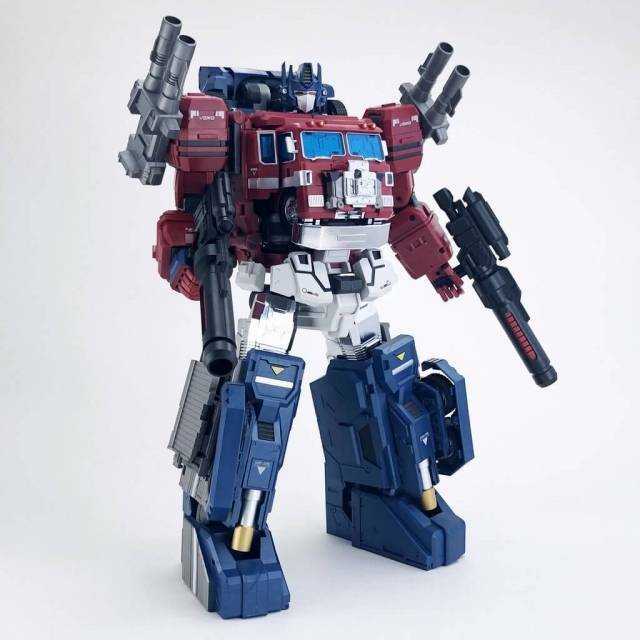 So those of you who were wanting a Magnus to go with your MP-1, you no longer have to stick with MP-2. Highly recommended for Magnus fans. I was a little worried when I saw the weight, reviews, etc., but I will say this is the best UM to date. Honestly, the design and transformation are quite simple, but it works. 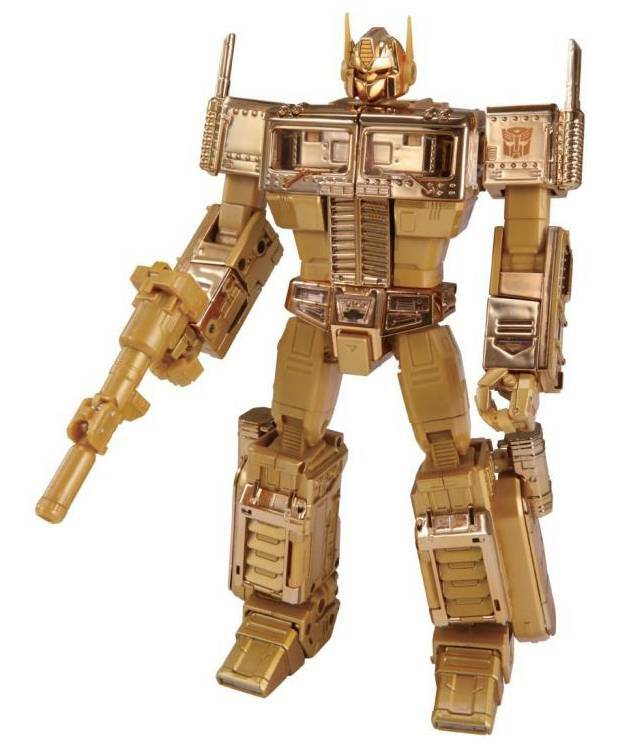 Takara needed to have hired this guy, put a little die cast in it, and you have a full out masterpiece. Hard time believing that white OP with body armor can be that much better. Glad i made the jump. 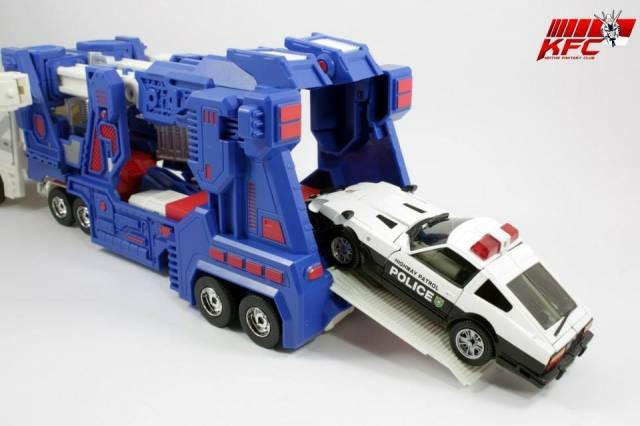 The toy we should have had back in the 80's. First and only con, it came with a broken smoke stack in the packaging, that's it. Rest of the toy is flawless. Never did like the add-on armor style, this one piece idea works and the price is right. 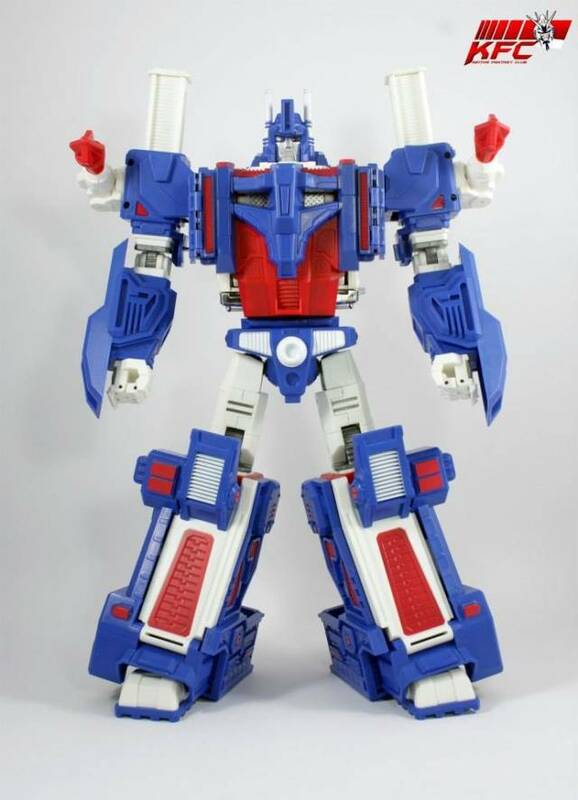 Some complain about the scale, but if you look at the MP that is coming out, they both look to be the same height compared to MP Prime. 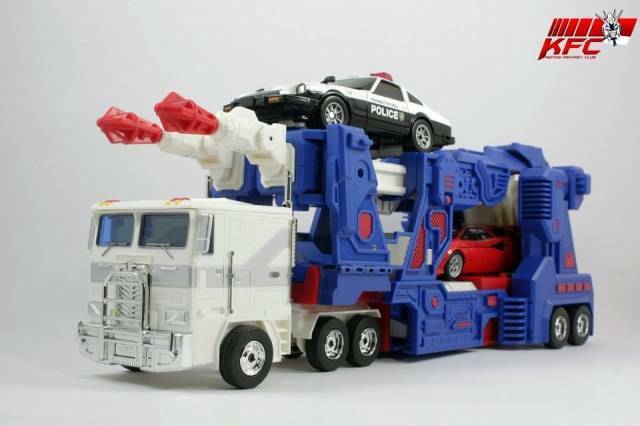 Ultra Magnus was a bit bigger and taller than Prime. He would probably be the same size as the Dinobots should be compared to Prime in the cartoons. 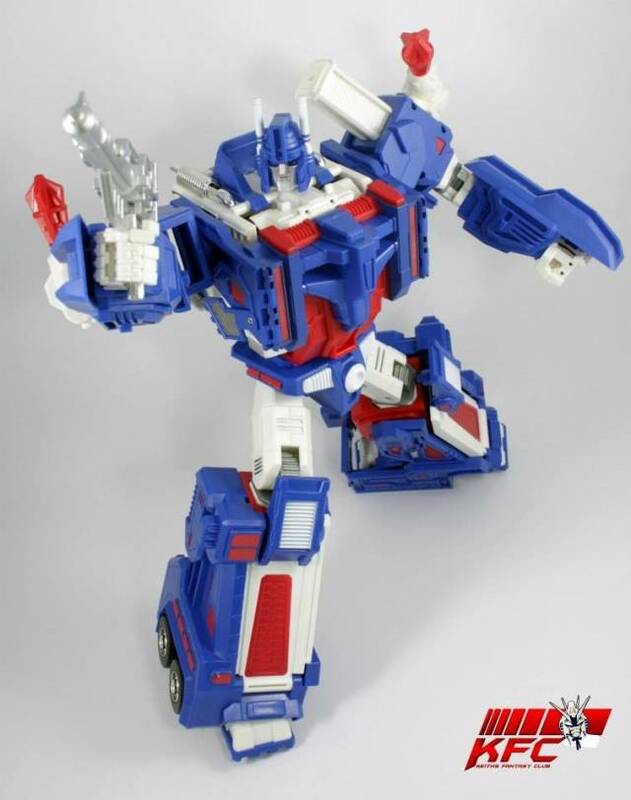 Sick and tired of Optimus Prime repaints passed off as UM. Magnus has finally gotten his own identity on all three levels. 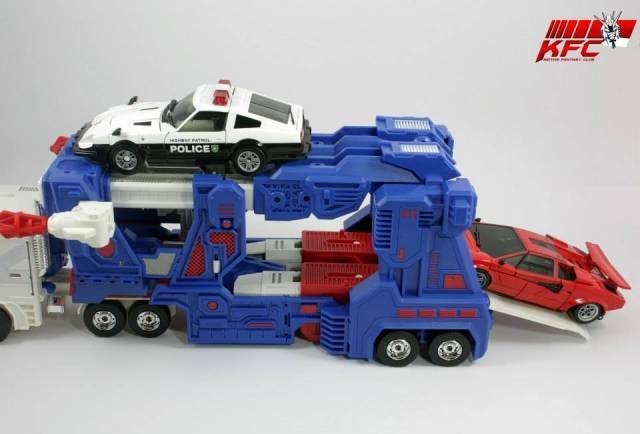 Truck form, transformation sequence, and robot form. Thank you KFC. This is my first experience with KFC and I must say I am thoroughly impressed. The design, size, and aesthetic of this piece are flawless. 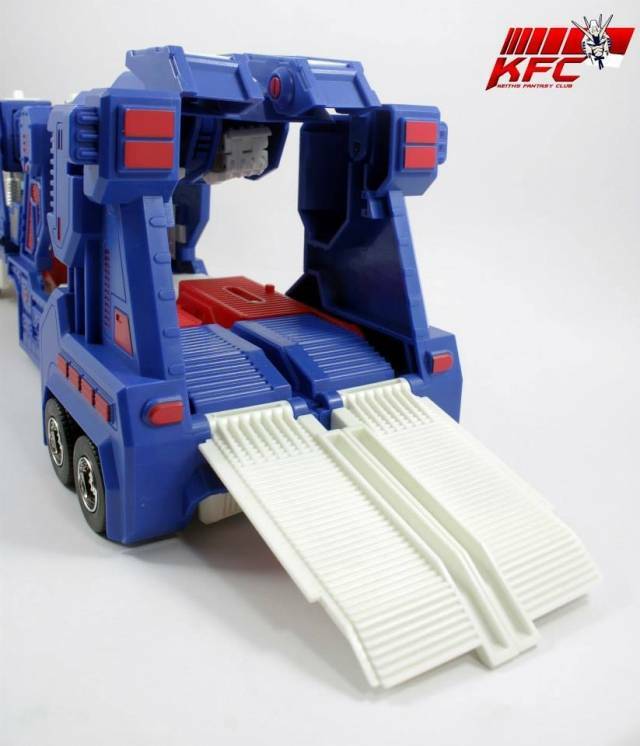 I always dreamed of a version with a self contained transformation and KFC has delivered. The plastic quality is on par with other 3rd party companies. 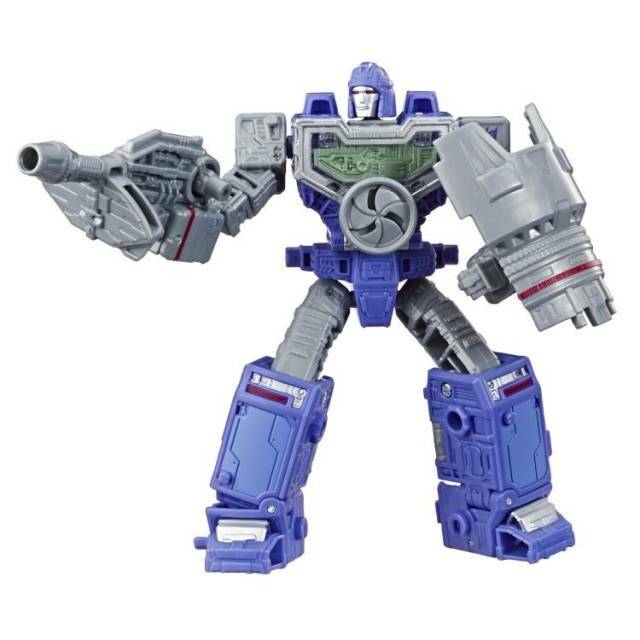 Those concerned about the size of this figure would be satisfied once they see Citizen Stack displayed next to MP-09 Rodimus Convoy. It truly is a sight to behold. This is my MP UM!